Your visit to Dartmouth would not be complete if you did not head out to the Dartmouth Dam wall and take a drive across it. At the other side of the dam wall is an ideally located picnic area allowing you to take in the depth and size of Dartmouth Dam. 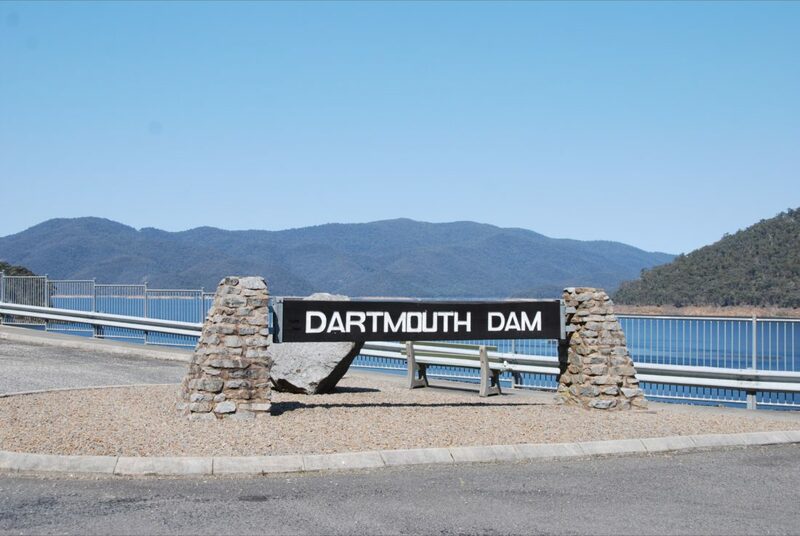 This picnic area offers ample car parking, a spill viewing area, several picnic tables (some offering shade), rubbish bins, information boards giving you an insight into Dartmouth Dam and a toilet block with disabled access. Whether you stop here for a few minutes just to take in the views and some photos or you plan on spending a few hours here, your visit to Dartmouth must include a drive over the dam wall and a visit to this picnic area.